Vendor management is typically overseen by one or two people at the financial institution, but actually every employee who outsources services is responsible. 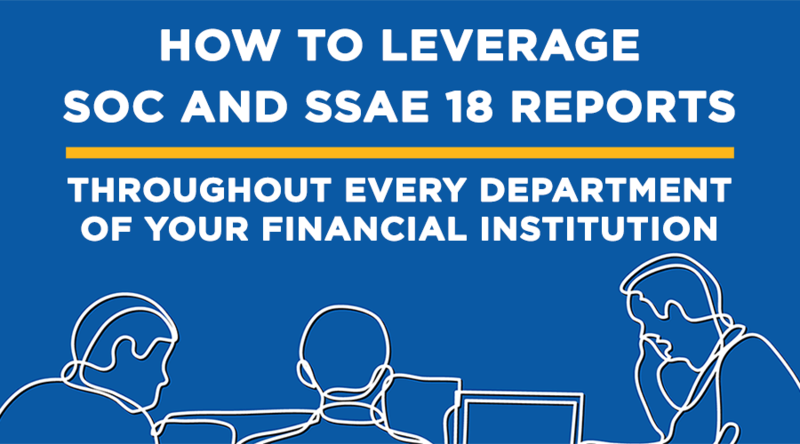 Do your colleagues know how to read, review and use SOC and SSAE 18 reports? Can you teach them how to follow these and other important vendor management practices? In addition to assessing your critical vendors’ IT security controls, you have to look down the line at your vendors as well as your vendors’ critical vendors. Luckily SOC and SSAE 18 reports eliminate that problem for financial institutions that know how to interpret these critical vendor due diligence documents and integrate it into their vendor and enterprise risk management programs.